You'll be £12.99 closer to your next £10.00 credit when you purchase Terrible Swift Sword. What's this? This fascinating addition to the GI series demonstrates the full range of uniforms, equipment, and armament used by the troops who fought for Abraham Lincoln's Union army during the American Civil War. Far from being uniformly clad in blue, the Union soldier appeared in a great variety of clothing, from simple civilian-style dress to elaborate uniforms inspired by European armies. This volume covers artillery, cavalry and infantry and includes over a dozen color images produced in the 1860s for the U.S. Army Quartermaster Department, as well as the complete 1861 U.S. Army uniform regulations. This popular series of books follows the publishers format of lavish illustration with concise text. The author has provided a unique impression of the Union Army, using early field photographs that include some coloured photographs - Recommended. The collection of black and white photos is impressive, as is usual in these Archive Series. Very interesting photographic archive and precise documentation of great importance. 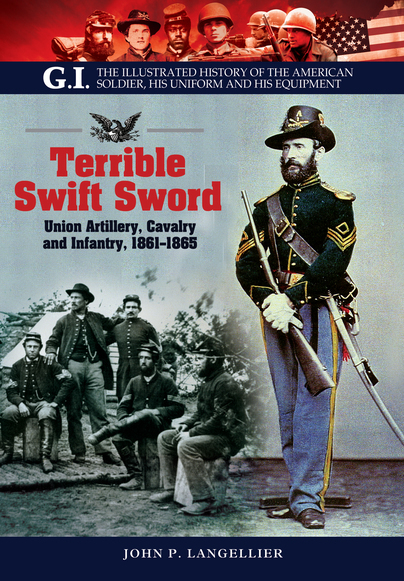 Previously published in 2000 and now reprinted, this title in the GI – The Illustrated History of the American Soldier, His Uniform and His Equipment – series looks at the Union forces of the American Civil War. Published as a pictorial guide, the book demonstrates the full range of uniforms, equipment and armament used by Lincoln’s army. Far from being uniformly kitted out in blue, the Union soldiers appeared in a variety of clothing, from simple civilian style dress to elaborate uniforms inspired by European armies. Included are images produced in the 1860s for the United States Army Quartermaster Department, as well as the complete 1861 US Army uniform regulations. This fascinating addition to the GI series demonstrates the full range of uniforms, equipment, and armament used by the troops who fought for Abraham Lincoln's Union army during the American Civil War. Far from being uniformly clad in blue, the Union soldier appeared in a great variety of clothing, from simple civilian-style dress to elaborate uniforms inspired my European armies. This volume covers artillery, cavalry and infantry and includes over a dozen colour images produced in the 1860s for the U.S. Army Quartermaster Department, as well as the complete 1861 U.S. Army uniform regulations.